Detection units – BDRG-47R, BDRG-47R-01 are used for early detection of the accident on a nuclear plant, development and localization control by uninterrupted measurements of gamma-ray dose capacity absorbed in air inside the confinement in all types of accidents, including unexpected. Electricity through a sealed communication line and a cable passage is received by a sealed electrometric unit, which produces electricity digital measurements and transfers it data in to gamma radiation doze digital value. The RS-485 MODBUS RTU Interface value can be transferred separately to the SRK display and indicator with its own letters and/or numbers indicator (in case of stand-alone equipment), or simultaneously both of its necessity. Service equipment is meant to verify detection units work modes, objectives and sensitivity rate control, efficiency control and simplifying technical support. 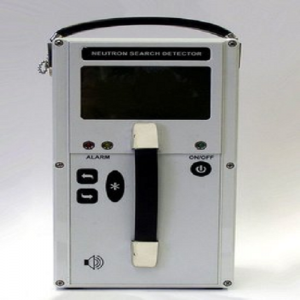 Detection units – BDRG-47R, BDRG-47R-01 are used for early detection of the accident at nuclear plant, development and localization control by uninterrupted measurements of gamma-ray dose capacity absorbed in air inside the confinement in all types of emergency, including unexpected. For remote measurements of gamma-ray dose capacity absorbed in air on nuclear-hazardous heated and unheated objects: nuclear waste storage, working premises and etc. For analysis of Gamma-active radionuclide activity volume, in high temperature fluids state, under pressure. Detection units can be used in radiation control systems measurement channels, and also in stand-alone units. Minimal amount of montage works is required when installing detection units in confinement on a nuclear power plants: cable passage welding with integrated pipes in confinement, HV and current communication line connection with electronics. Noiseless remote (100m from detector) doze capacity measurement, from normal reactor exploitation (10^-6 Gr/h, currency <10^-14 A) to emergency state (10^5 Gr/h, currency<10^-3 A). Work reliability as a result of under-control operation relevant to working time – 35 years. Continuous control of the detection units efficiency using the reactor as a power source. Remote control of stability and work of electrical tract, if the current and HV communication lines are in one-peace, electrode system in the ionization chamber. Metrological calibration approach: basic (out of manufacture) and periodic (Customers) without dismantling the unit in the exploitation places. Possibility of remote-assignment from operation point: currency conversion rate in doze capacity, provisional and emergency threshold alarm, highest and lowest limit calculation. Two Independent digital channels availability, for receive/transfer data RS-485 MODBUS RTU. Maximum line range from the detector to electrical measurement unit – 100m. Current line isolation resistance non less than 1011 Om. Doze measurement capacity sensetivity removal from inffluence of line lenght and temperature adjustments. Availability to work with a high range of ionizing radiation detectors, in particular with current chambers for neutron-ray measurement. 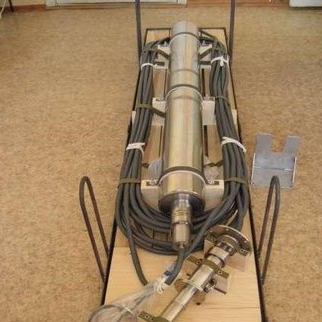 Activity in reactor confinement in conditions of a unexpected accident: temperature 2500С adding vapour/air mixture 0,7 Mpa. Reference: 4 – Nuclear power plant, 8 – power units, 23 – apparatus.